TechInvest is the start of a new investment paradigm focused on Alberta. Start-up companies with a potential to grow need a certain amount of investment. Start-up Investors are typically high net worth individuals and/or large institutions such as pension funds, financial firms, insurance companies, and university endowments—all of which put a small percentage of their total funds into high-risk investments with a long-term growth perspective. This form of capital is known as venture capital and the investors are called venture capitalists (VC’s). Traditionally, venture capital provides financing to small, early-stage, emerging firms that are deemed to have high growth potential. Although VC’s may group their funds and investments in market verticals such as Medical Devices or Clean Tech or Bio Tech, they typically look at each investment individually on its high growth merits only. This is a high-risk investment model. TechInvest will execute a different investment model that will take into consideration whether the target company fits an industry cluster that benefits a geographic region and a business platform that creates value by facilitating benefits with other like companies in an industry sector by pooling common business processes. Mr. Palfery is a corporate strategist and consultant, formally the group president of two US based Fortune 500 companies. 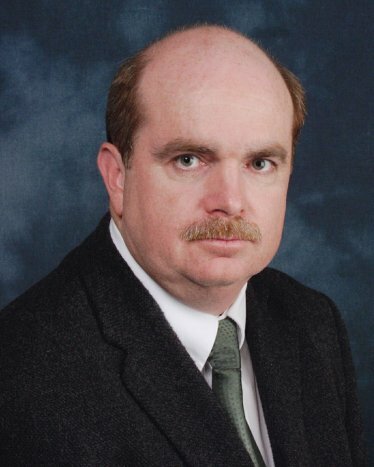 Ron has strong expertise in M&A, Strategy, Operations, Technology and Product Development and Commercialization. Ron has served as a director and chairman of several private companies and National Associations. d. Can the company express the value proposition? Two key investment considerations unique to TechInvest include: 1. The target companies fit into Clusters, and 2. 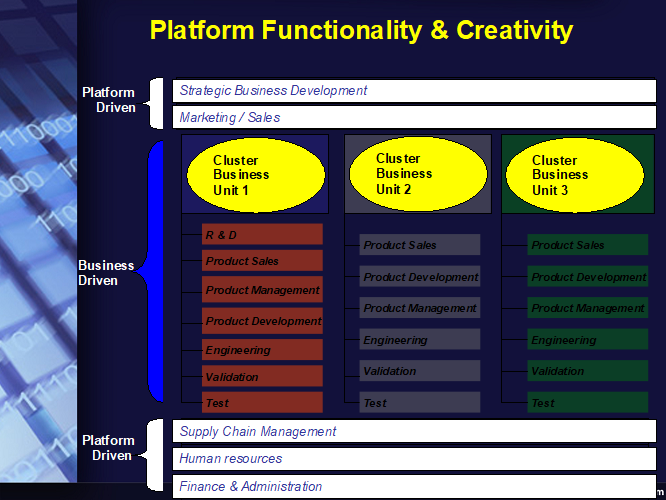 The Platform Business Model can be applied to the company. TechInvest will identify and invest in companies that fit with key business clusters in Alberta. A business cluster is a geographic concentration of interconnected businesses, suppliers, and associated institutions in a particular field. Michael Porter (introduced and popularized clusters) states that clusters have the potential to affect competition in three ways: by increasing the productivity of all the companies in the cluster, by driving innovation in the field, and by stimulating new businesses and spin-offs in the field. This approach will help build and keep key cluster businesses in Alberta. Cooperating towards common goals – firms and others within a concentrated geographical area working and establishing linkages and working alliances to improve their collective competitiveness. Clustering helps a clump of co-located firms and organisations turn into a high-performance system. This works at a system, rather than individual organisation, level. An active local cluster includes firms and support organisations working together to achieve results that would not be possible individually. ABCtech will be the center of this effort. Business networking – a key component of any high performance cluster is extensive informal and formal networking between firms – even competitors – right across the cluster, and between firms and their supporting infrastructure. ‘Soft’ networks (such as local professional and trade associations) and ‘hard’ networks (strategic alliances between firms) are both important. The development of such networks will be supported by ABCtech, which will enable both competition and cooperation to thrive. It is much more than just lobbying Government under a new name. A clustering approach certainly does provide an effective means of gaining access to government agencies and making local priorities clear, but the creation of a mechanism for wide improvements in areas of common concern is more important. A Platform is a business model and is a different model than a linear business model. It is a business model that creates value by facilitating exchanges between two or more interdependent groups, usually consumers and producers. For example, a linear business will own the means of production. A platform will create the means of connections to production. Successful platforms facilitate exchanges by reducing transaction costs and/or by enabling externalized innovation. You cannot succeed in today’s economy without understanding how platforms work. The three most successful platforms to date are Google, Apple and Facebook. In 2016, four of the five members of Forbes list of most valuable brands were platform companies, as were 11 of the top 20 including Amazon, eBay, Instagram, Uber etc. And as of early 2017, the top five companies by market cap are all platforms. Nearly 60% of today’s billion-dollar “unicorns” start-ups are platform businesses. In Asia this moves to 86%. A platform ultimately enables value creation by facilitating transactions. While a linear business creates value by manufacturing products or services, platforms create value by building connections and “manufacturing” transactions. Getting the core transaction right is the most important part of a platform design. 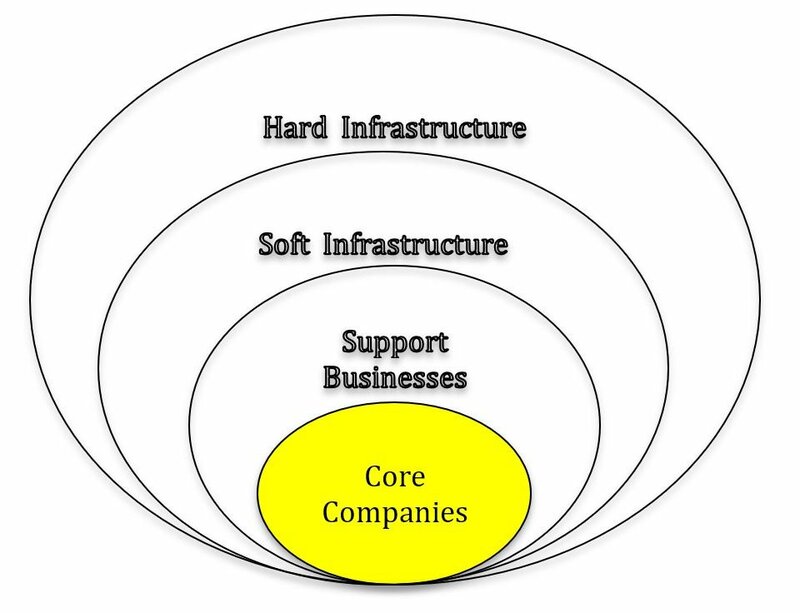 The core transaction is the platform’s “factory” – the way it manufactures value for it’s users. It is a process that turns connections into transactions. TechInvest will use Platforms in the design of their cluster business modeling. The common business processes for each company in the common clusters will be shared and distributed across the cluster. Matching a platform’s design to its type is essential to its success. Platforms that don’t get this correct tend to get left behind by the competition. Platform type affects everything from the design of the core transaction to how you handle the functions, making it one of the most fundamental distinctions that any platform business must understand. TechInvest understand how to identify the right platform model for companies and executing the model design to realize the maximum platform effectiveness. Platform design is not just about creating the underlying technology and/or product. It’s about understanding and creating the whole business and how it will create value for and build a network. In the old model, scale was a result of investing in and growing a business’s internal resources. But in a networked world, scale comes from cultivating an external network built on top of your business. This is the essence of how platform business models work. As each new cluster participant is added (by investment) the common processes will be applied to the new platform participant. Start-ups typically have strong capability in their immediate area of expertise but lack the resources to support and grow the business. Applying common processes creates investor value by reducing costs, creating process benefits to all cluster participants and building the strength of the overall cluster in Alberta. The growth of platforms isn’t isolated to the US based companies either; platform companies such as Alibaba, Tencent, Baidu, and Rakuten have taken over China and much of Asia. In fact, they play an even more prominent role in developing countries than they do in the United States. The economies of many of these countries were growing rapidly at the same time that Internet access became widespread. And because these countries didn’t have the existing commercial infrastructure that developed economies did, their industries have been molded around shared resources and platforms.